Founded in the year 2012, Oxford Institute of Spoken English in Hyderabad is an institute that aids in the development and refinement of one's English communication skills. This establishment was built with an aim to become one of the preferred language training institutes in the region. This organisation was set up with a view to train and develop its students with high-quality communicative English through individual attention and overall personality development. 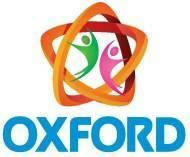 Oxford's Institute Of Spoken English conducts classes in Spoken English. It is located in Ameerpet, Hyderabad. It takes Regular Classes- at the Institute.